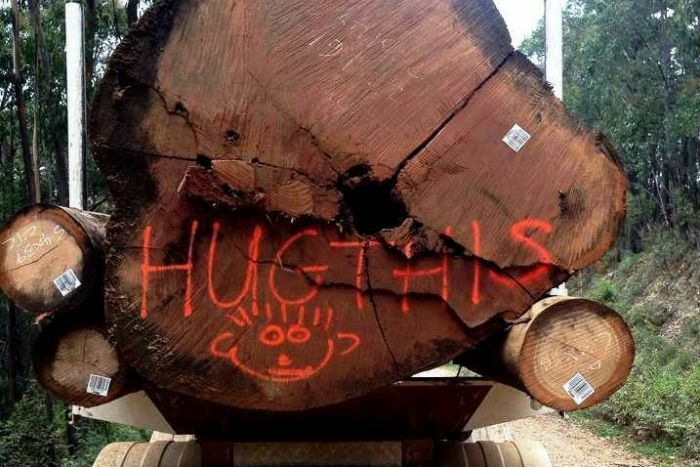 The state government owned logging company VicForests, is in the legal crosshairs of environmentalists yet again. Lawyers acting on behalf of Environment East Gippsland have this week formally requested an explanation as to why a rich habitat site suited for rare forest-dependent wildlife was not surveyed before logging commenced last week. The forest is part of the St Patrick's River catchment south west of Goolengook and NE of Orbost. “More areas of high quality habitat are planned for imminent logging and we believe they have also been overlooked for surveying. The less they find, the more they can cut down. Conservationists from Goongerah Environment Centre (GECO) have halted logging operations in high conservation value forest on the St Patrick’s River in East Gippsland today due to multiple breaches of the law. A person is positioned in a tree platform 30m off the ground. The platform is tied off to logging machinery which is preventing logging operations from continuing. GECO believes the logging is illegal. VicForests has failed to carry out necessary pre logging surveys for threatened wildlife, which it is legally obligated to do. Logging has also illegally impacted upon a large stand of protected rainforest. “The Minister was alerted to these breaches last week but as logging continues we’ve taken direct action to prevent further destruction of wildlife habitat and rainforest,’ said Ed Hill. 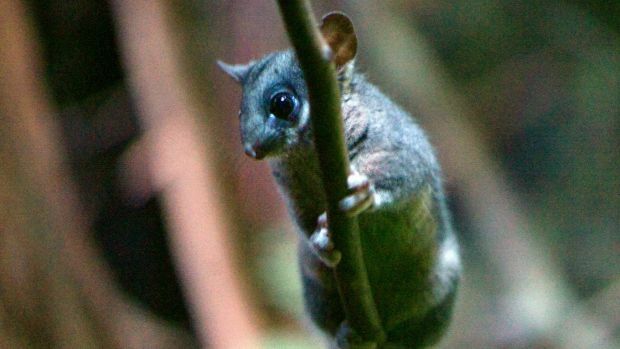 Three threatened/protected species have been recorded close to the area; Yellow-bellied Glider, Sooty Owl and the endangered Long-footed Potoroo. The forest is also rich in old trees with hollows – an indication that other rare and protected wildlife could be supported in this forest,” said Ed Hill. 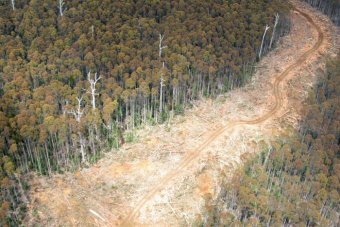 “Instead we see repeated and blatant contempt of clearly worded laws which should see VicForests charged, as any of us would be for destruction of protected rainforest,” said Ed Hill. 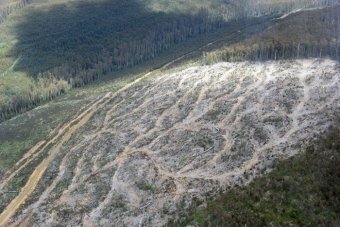 “As the Minister responsible Lisa Neville must act to immediately halt the logging in this coupe and order a full investigation into the suitability of VicForests as a manager of public property,” said Ed Hill. That the proposed Great Forest National Park is in question because VicForests has made long-term logging contracts tells us nothing about the industry's viability or even the need for its existence (The Age, 17/11). It simply tells us our value system is so distorted we would rather release ever more carbon into the atmosphere and watch species go extinct than break a contract and pay a fee. Chopping down trees simply because we said we would is madness. VicForests signing expensive and dubious logging contracts (Age 16/11) just before the change of government in 2014 highlights the urgent need for the Great Forest National Park. VicForests lacks the social licence for continued logging of our native forests and ongoing destruction of Leadbeaters possum and other threatened species forest habitat. Species extinction and ecosystem collapse are not acceptable. The declining availability of wood resource from native forests, consumer avoidance of timber and paper produced from it, paltry revenue and debts owed equates to the upcoming cessation of native forest logging. There are few jobs involved now that whole logs are exported to China. The future lies in transitioning the logging industry to sustainable plantations and recycled fibre - this will be good for jobs and good for the environment. Nine out of ten Victorians support the immediate creation of Great Forest National Park during the term of current government. We now just need the political will to do so. Native forest wood waste: The new renewable energy? BURNING native forest wood waste for power is applicable for financial incentives under the Renewable Energy Target (RET). Late at night on June 23, the Senate passed legislation cutting the RET from 41,000 gigawatt hours to 33,000 in an agreement between Labor and the Federal Liberal Government. Under the new legislation, native forest wood waste can receive RET certificates and be eligible for financial incentives, despite being removed from the target in 2011. This move was made against protests from Labor and The Greens, who said this inclusion could encourage the unsustainable harvesting of native forests. “It’s an open invitation for the struggling forestry industry to sacrifice NSW’s native forests into furnaces,” The Greens’ member of the NSW Legislative Council John Kaye said. However, South East Fibre Exports general manager Peter Mitchell said the government had made a “very good decision”. “Wood has been recognised as the main source of renewable energy for thousands of years,” he said. Mr Mitchell said trees turn solar energy into wood, which can then be burnt, so it is “basically a renewable energy”. However, Federation University Professor of Environmental Science Peter Gell said it was a “falsehood” to claim this type of electricity production as renewable. “You can’t ‘renew’ or replace the burnt carbon stored in a 100 to 600-year-old forest in the turnaround time needed to address climate change,” Professor Gell said. “If all Australian native forest log production in 2009 had instead been burned for electricity, it would have substituted as little as 2.8 per cent of our coal-based power generation. Forty scientists – including Professor Gell - in such fields as ecology, chemistry and biology have signed an open letter to the Australian Parliament stating their opposition to the inclusion of native wood as an energy source under the RET. 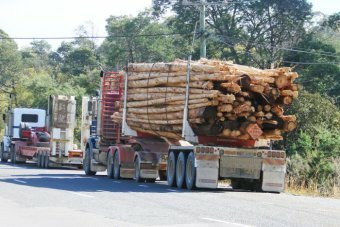 “The native forest logging industry continues to decline across Australia as plantations now provide a viable alternative supply for building,” Professor Gell said. While Mr Mitchell said while times had been hard for the forestry industry, things were improving as demand was growing for forestry products - especially in third world countries. “It’s been tough times, but we posted a profit last year and we are going to make a profit this year,” he said. A spokesperson for NSW Forestry Corporation said prior to the new legislation, native forest wood waste could already be burnt as an energy source. Mr Mitchell said while this was the case, the waste was not applicable for RET certificates. Under the Renewable Energy (Electricity) Amendment Bill 2015, biomass, or fuel, from a native forest must be harvested for a purpose other than energy production. Acceptable biomass includes by-products of a Commonwealth or state approved harvesting operation, or an operation carried out with ecologically sustainable management principles. Mr Mitchell said the industry is heavily regulated and if you cut down trees for the specific purpose of generating power you would not get renewable energy certificates. A Forestry Corporation of NSW spokesperson said there had not been a demand for wood-fired power stations yet, but there may be opportunities in the future. “We are aware of some private companies who are already investing in renewable energy generation elsewhere by combining waste from sugar mills with wood waste from timber plantations,” the spokesperson said. IN 2011, a proposal for a wood-fired power station at South East Fibre Exports’ (SEFE) chipmill in Eden stirred up contention in the Bega Valley community. However, the Federal Government removed native forest wood from its renewable energy scheme that year and the plans did not go ahead (BDN, 15/6/11). Despite the recent Renewable Energy (Electricity) Amendment Bill 2015 listing wood waste as an energy source applicable for renewable energy certificates, SEFE general manager Peter Mitchell said his company has no plans to build a wood-fired power plant. “We had plans a few years ago, but they were shelved as the amount of waste produced here reduced as exports reduced, so it was not economically viable to go ahead with that project anymore,” he said. “It is a very fragile environment as the government can change the regulations very easily. In 2012, a DA was approved for a wood pellet fuel plant at Eden, which went on to produce wood pellets for heaters for a period of time before being shut down. The plant will be leased this year and resume production. Mr Mitchell said the new bill would have no effect on the wood pellet plant. The Tasmanian Government has increased the level of debt it will guarantee for the state-owned forestry business. Treasurer Peter Gutwein has revealed he signed off on another Letter of Comfort for Forestry Tasmania (FT) in February, increasing the debt level covered by $10 million to $41 million. The letter allows the ailing business to continue operating in deficit. Forestry Tasmania will also get a $30 million equity transfer from the state-owned energy business TasNetworks. The reassurance was initially issued in 2009 to allow the state-owned lender Tascorp and Forestry Tasmania to negotiate new lending arrangements. Greens treasury spokesman Nick McKim said Mr Gutwein had repeatedly failed to explain how Forestry Tasmania could ever pay back the money it owed. "We know that Forestry Tasmania currently owes $27.8 million, yet the Treasurer has no idea whatsoever how and when FT can ever become financially viable," he said. "The simple fact is that logging native forests is a loss making enterprise, and there is no realistic prospect of that changing in the future. 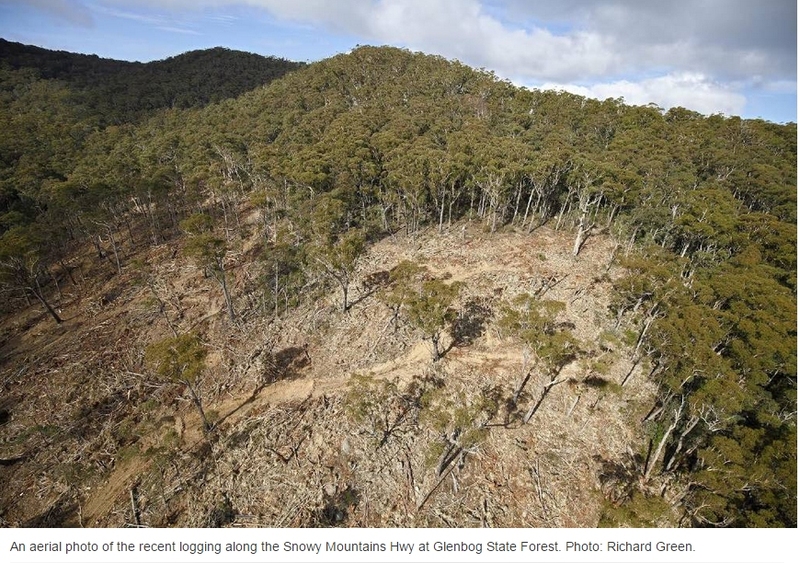 "It's now clear that Mr Gutwein has no plan for Forestry Tasmania except continuing to throw public funds at it and allowing it to rack up debts and sell assets." It is touted as the flagship of Britain’s energy future: the world’s biggest green power plant burning wood pellets to generate renewable biomass electricity that will safeguard the planet for our children. But today The Mail on Sunday can expose the hypocrisy that underpins the Drax power station in North Yorkshire – which far from curbing greenhouse emissions, is actually increasing them, while adding huge sums to the nation’s power bills. Drax was once Britain’s biggest coal-fired power station. 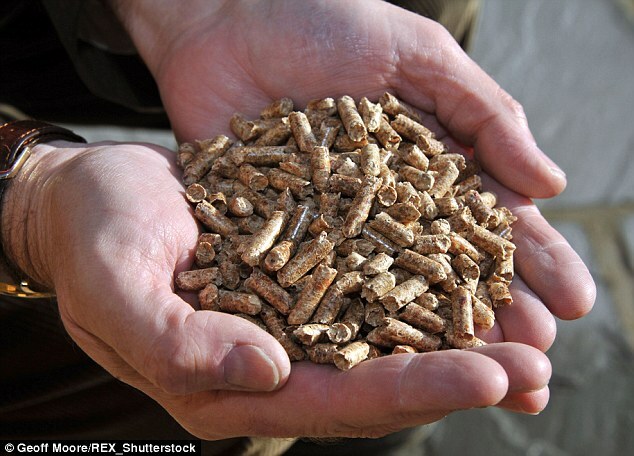 It now burns millions of tons of wood pellets each year, and is reputed to be the UK’s biggest single contributor towards meeting stringent EU green energy targets. But astonishingly, a new study shows that the switch by Drax from coal to wood is actually increasing carbon emissions. It says they are four times as high as the maximum level the Government sets for plants that use biomass – which is defined as fuel made from plant material that will grow back again, therefore re-absorbing the CO2 emitted when it is burnt. In 2013, Drax’s first year of biomass operation, only one of its six units – which each have a capacity of 650MW – was burning pellets. Its total green subsidy then was £62.5 million. Drax qualifies for subsidy because under EU rules, biomass is rated as ‘zero carbon’ – on the basis that trees used can be grown back. Yesterday, the plant’s spokesman Andrew Brown refused to say how much subsidy it is being paid now, claiming this information was ‘commercially sensitive’. But a Mail on Sunday analysis shows that in 2014, with two biomass units operational, the subsidy rose to at least £340 million – about three-quarters of Drax’s gross profit. The figure was calculated from the plant’s own public declarations of how much power it has generated from biomass, and known details of how much the subsidies are worth per MW/hr. Now, with a third 650MW biomass furnace due to be lit in the next few weeks, the subsidy will grow again, in step with Drax’s output. By 2016, the total it has received will be well over £1 billion, with about half a billion being paid annually. Drax is proud of its green credentials, and claims that it uses sawdust from sawmills and ‘waste wood’ or ‘leftovers’ – branches and smaller sections – discarded by commercial logging operations. In fact, according to Drax’s own website, last year sawdust made up just 9.5 per cent of its pellets. A much bigger source is American hardwood trees – such as oak, sweetgum, cypress, maple and beech – supplied by US firm Enviva, which sells Drax a million tons of pellets a year, a quarter of the plant’s 2014 supply. Drax claims the wood it is supplied with is ‘sustainable’. However, the Dogwood Alliance, a US environmental group, has investigated Enviva operations on the ground several times and found evidence to the contrary. Late last month, Dogwood campaigner Adam Macon travelled with colleagues to the Enviva pellet plant at Ahoskie, North Carolina, where he saw piles of hardwood trunks 40 feet high being fed into the plant’s hopper – the start of the process where the trees are pulped and turned into pellets. These could not be described as ‘leftovers’. Macon recorded the number plate details of an empty truck leaving the plant and followed it to a forested area 20 miles away. He waited as numerous other trucks, laden with tree trunks, left the forest for Ahoskie. Then, the truck he had been following left too, carrying its load back to the plant. The next step was to visit the area being cut. ‘To avoid detection, we trekked in from the back, through a forested swamp,’ Macon said. This operation is not illegal. Although they are home to dozens of species of animals and birds, some of them endangered, the forests are not protected. But US environmentalists claim that demand for biomass is hugely increasing the rate at which they are felled. Yesterday, Drax spokesman Andrew Brown denied this, saying that at the sites where Enviva operates, it takes only ‘waste wood’ – the leftovers after trees are sent to sawmills to produce timber for building. He emphasised that the plant’s wood comes from branches and tree tops, or whole trees that were diseased, too thin or too twisted to use for other purposes, claiming that areas would never be felled just to make pellets. The disgraced former Energy Secretary Chris Huhne was a key political architect of Britain’s drive for biomass – and is now the European chief of a US pellet company which is seeking UK markets. Lib Dem Huhne, left – who was jailed in 2012 for persuading his ex-wife to take his speeding points – is a director of Zilkha Biomass, which is currently completing a huge ‘black wood pellet’ plant in Selma, Alabama. Zilkha already has a contract to supply a power station near Paris, and a spokesman said it was ‘absolutely interested’ in doing business in the UK. The firm’s website boasts of Huhne’s former Cabinet role, saying he was responsible for ‘setting up a new energy-saving framework’ as well as ‘market reform to spur low carbon investment’. He added that it was much better to use the ‘leftovers’ for pellets than to let them rot, which would ‘release CO2 and potentially methane, without any net gain to society’. In fact, the US Environmental Protection Agency reported in November that hardly any methane is released by rotting wood. His comments support claims that biomass is hastening forest decline. He added that the hardwood species that were cut might never grow back, because owners seeded other, fast-growing species in their place. According to Drax, the original forests grow back naturally. In his video presentation, Drax’s Andy Koss claimed the firm was so green that its contribution to cutting emissions was the equivalent of taking three million cars off the road. But a new study led by Dr Thomas Buchholz of the Spatial Informatics Group, a team of environmental experts and scientists, casts doubt on this. His findings are based on the official Department of Energy and Climate Change (DECC) model for calculating emissions, known as BEAC. This weighs factors including harvesting, transport and emissions from the furnaces – when pellets are burnt they produce much more CO2 than natural gas or coal – as well as new tree growth. Dr Buchholz’s conclusions are devastating. The official DECC standard says biomass plants should emit a maximum of 285kg of carbon dioxide for every 1MW/hr of electricity. But the research found that averaged over 40 years, Drax’s net emissions will be more than four times as high. Enviva’s Kent Jenkins claimed the study ‘employed faulty assumptions and flawed methodology’, and should be disregarded because it was commissioned by the Southern Environmental Law Center in Virginia – a ‘vocal critic’ of the company. Drax’s Brown cited another study from Duke University in North Carolina, which suggested biomass might cut emissions. He did not mention that this was funded by forestry companies, including Enviva. This study also admits it does not consider how long it takes for CO2 to be re-absorbed by new growth. The UK government is taking the Buchholz study seriously. A DECC spokesman said it was ‘looking to expand our evidence base on the carbon impacts of bioenergy’ and had already commissioned further research to evaluate the findings. Meanwhile, opposition by American environmentalists is building. Dogwood Alliance director Danna Smith added: ‘It’s not the carbon emissions that are disappearing, it’s the forests – and there’s no guarantee they will ever come back. Members of Parliament considering adding native forest biomass to the RET should be aware of a working paper released at UN Climate negotiations in Bonn overnight by Chatham House which says that burning forest biomass for electricity is not carbon neutral, warned Markets For Change. Chatham House is a highly regarded international think tank based in London, also known as The Royal Institute of International Affairs. The Working Paper “Forest-based biomass energy accounting under the UNFCCC: finding the ‘missing’ carbon emissions” is an advance release of one section of an extensive research paper examining the worldwide impact on forests and the climate of the use of wood for electricity generation and heat. “According to the well-researched study, fostering forest biomass as a source of renewable energy in Europe is shown to be actually damaging the climate further with carbon emissions,” said Markets For Change CEO Peg Putt who attended the event in Bonn. The current land-use accounting rules result in a significant quantity of emissions from forest-based bioenergy being excluded from the global accounting system. A presentation on other parts of the upcoming full report also outlined that the burning of forest biomass creates a ‘carbon debt’ which can take decades or even centuries to recover. “The important message for Australia from this weighty study is that burning native forests for electricity will not help the climate. The assumption that it is climate neutral is simply wrong,” Ms Putt said. “The proposal to include native forest biomass burning into the Renewable Energy Target is deeply flawed and should be rejected when it is debated in Parliament in coming weeks,” Ms Putt concluded. The future of publicly-owned forestry company Forestry Tasmania will be mapped out during an address in State Parliament by Resources Minister Paul Harriss on Wednesday. Mr Harriss said the Government intended to keep its election promise on the company. Cabinet signed off on the Government's response to a report on the viability of Forestry Tasmania on Monday. "The Government took to the election a commitment to put Forestry Tasmania onto a sustainable footing into the future, and we intend to deliver," he said. Mr Harriss said he and Treasurer Peter Gutwein received the departmental report a couple of weeks ago and have been "constructively" working through its recommendations. The Minister said the Government engaged consultancy company Deloitte to help the review Forestry Tasmania's economic and operational models. They made a blue when they committed to withdrawing funding from Forestry Tasmania. The Tasmanian Greens renewed its calls for the State Government to scrap the company. Greens leader Kim Booth said he was worried the Government's review would be superficial. "What we've achieved here is a financial disaster," he said. 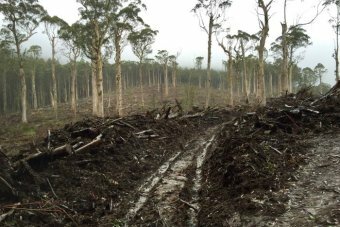 "The Government's internal review into Forestry Tasmania will be completely inadequate in terms of getting to the bottom of what's happened since 1994 to 2014, when they've shrunk the value from $2.27 billion, down to $160 million." Opposition leader Bryan Green said workers had been in limbo for months because the Government had refused to rule out winding up the business. "That chair of the board has had to write to Forestry Tasmania workers reassuring them the Government is, he believes, hopefully working in their best interests," he said. 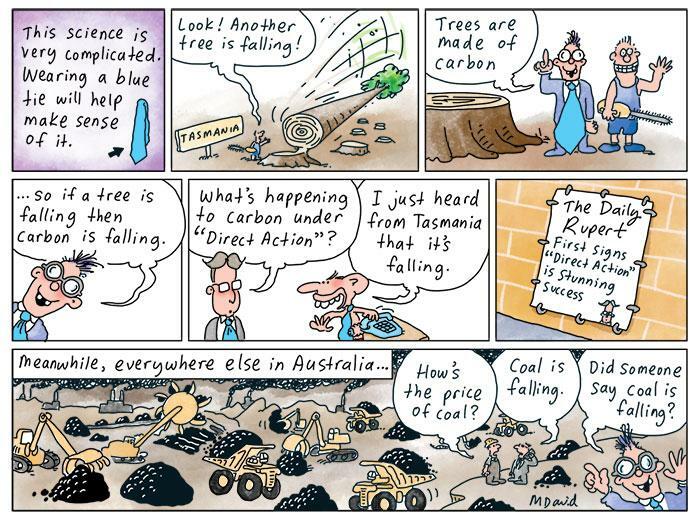 "They made a blue when they committed to withdrawing funding from Forestry Tasmania." Mr Harriss said it had not yet been decided if the report would be made public. 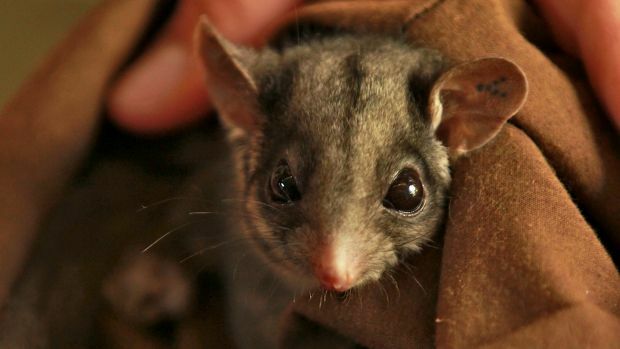 list the Leadbeater’s possum as a ‘critically endangered’ species. The Threatened Species Scientific Committee’s recommendation was clear and unequivocal regarding the need to transfer the species from endangered to critically endangered. This means Victoria’s faunal emblem will now receive the highest level of protection under national environment law. Leadbeater’s possums have very specific habitat requirements in order for them to survive and flourish. 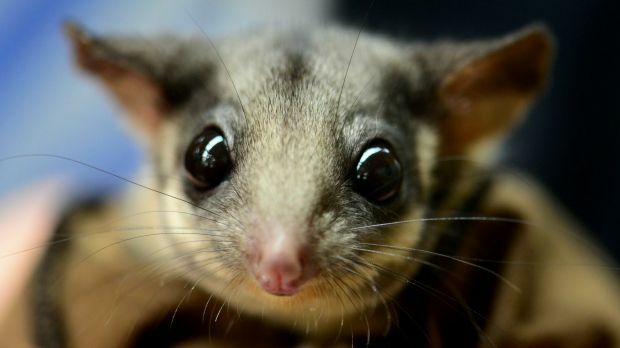 Sadly, almost half of the possum’s ideal habitat – the old-growth mountain ash forest in the Central Highlands of Victoria – was burnt in the 2009 bushfires. First and foremost, I have already asked my Department to work with Victorian Government officials and commence a review and update of the Leadbeater’s possum draft Recovery Plan. This Plan must be finalised and acted upon. The Australian Government is already taking significant action to protect threatened species. In 2014, we initiated a new national approach to saving our threatened species with the appointment of Australia’s first Threatened Species Commissioner. Since then, we have invested more than $76 million for practical science-based actions, to turn around species declines. Bushland Reserve which will provide breeding populations of these species with suitable habitat to help their recovery. In addition, the Australian Government’s National Environment Science Programme Threatened Species Recovery Hub will be investing $30 million over the next six years in practical science and field work to test and explore options to tackle the threats to our native animals and plants. 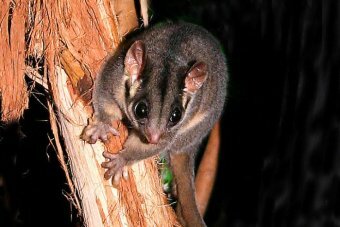 Victoria's state animal emblem, the Leadbeater's possum, is set to be formally recognised as being on the brink of extinction, leading to the Andrews government fast-tracking a program to identify more colonies of the species. But the state government has again stopped short of backing a new national park to protect the Leadbeater's habitat, which conservationists and many scientists say is crucial to ensuring the species' survival. Environment Minister Lisa Neville on Thursday announced measures to find more Leadbeater's through surveys, including infrared aerial mapping of habitat and remote camera surveys in planned logging areas. It is understood federal Environment Minister Greg Hunt will declare next week that the Leadbeater's formal national threatened species status has deteriorated from "endangered" to "critically endangered", considered the last step before extinction in the wild. There is no accurate estimate of how many Leadbeater's possums still live in the wild, though government modelling has previously put the range between 4000 and 10,000 with large caveats. Concern for the species' survival soared after the 2009 Black Saturday bushfires destroyed 45 per cent of its primary habitat in the state's central highland forests, north-east of Melbourne. Conservationists say continued logging of the species' habitat has further increased the pressure. Hope grew among some environmentalists this week that the impending federal decision on the Leadbeater's conservation status might see the state government give some form of public support for a new national park. Numerous conservationists and scientists – including Sir David Attenborough and Dr Jane Goodall – have supported a campaign to set up the "Great Forest National Park" in the region, which would encompass much of the highlands forest. But the area is also one of the state's primary native forest logging areas. During last year's state election campaign Labor had been expected to support a new national park in some way, but reportedly dumped the policy at the behest the CFMEU, which represents forestry workers. Instead the Andrews government promised to establish a taskforce of industry, unions and green groups to reach common ground on issues facing forestry, including jobs, economic activity and environmental protection. Ms Neville said the relevant groups were now working on how the taskforce will operate. "We will consider any reasonable proposals reached by consensus through the industry taskforce regarding the establishment of any new national parks," Ms Neville said. The new survey program includes fast-tracking targeted searches to identify new Leadbeater's colonies, remote camera surveys by the state-owned timber company VicForests in forest to be cut down, and aerial surveys to identify possum habitat. The state government will also purchase and loan equipment for community surveys. The surveys follow recommendations by a previous advisory panel, which was led by industry and Zoos Victoria and established by the Napthine government. 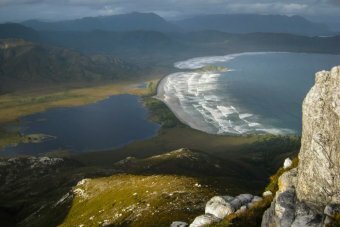 The Andrews government says it is implementing the panel's recommendations, which did not include a new park and were criticised as being ineffective for the species' survival by environmentalists. Australian National University ecologist, Professor David Lindenmayer, said: "This is not even Band-Aid stuff. We are dealing with a critically endangered animal in a critically endangered ecosystem. It needs real measures." Campaigner from MyEnvironment Sarah Rees said the latest survey measures were dangerously close to status quo, "which is what is leading this animal to extinction." 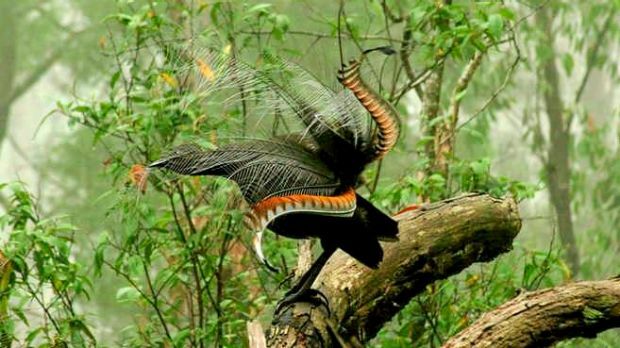 "What we need is an improved reserve design, being the Great Forest National Park, to stop extinction, not a bunch of cameras, a search for habitat that does not exist and an expectation that the community will do the work of paid government personnel," she said.